Since 1982, Apollo's Martial Arts has provided its members with a road map to success based on self-defense, confidence and goal-setting skills. Hi, I’m Dale "Apollo" Cook. When I opened my school in 1982, I made a commitment to serving and empowering the community of Tulsa, Bixby, Broken Arrow & Owasso by teaching children and adults the confidence, leadership, and fitness skills that can only be achieved through martial arts. Our programs have a strong focus on personal development. The foundations of our morals, values and core character traits are formed in our early years. For this reason, the programs at Apollo's Martial Arts are an essential way to enhance the growth and personal development of young students of all ages. 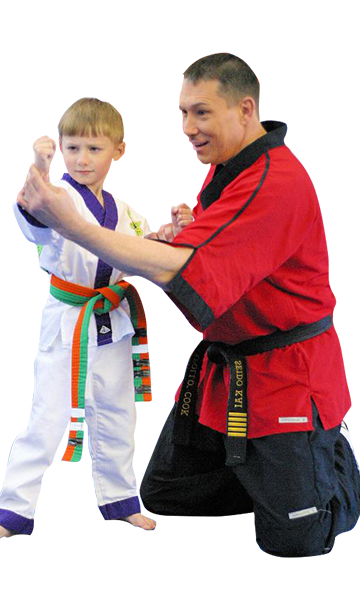 Karate is the style of martial arts practiced by Apollo's Martial Arts students. One more reason you will love martial arts at Apollo's Martial Arts!